Clinic will be closed from Sunday 21st April and will be return on Friday 17th April. Qiraku clinic is a Japanese and Chinese Acupuncture and Chinese herbal medicine clinic in New Farm, Brisbane. It is located just 2 km east of Brisbane CBD, and walking distance to Merthyr Village and Fortitude Valley. All services are provided by Chiemi Kinoshita, AHPRA accredited, registered Acupuncturist and Chinese Herbal Medicine Practitioner. Chiemi offers Acupuncture treatments in a gentle and comfortable way. Acupuncture may relieve a wide range of symptoms. The Acupuncture Evidence review (2017) has listed 117 conditions with stronger evidence for acupuncture's effectiveness. 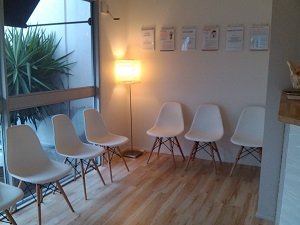 We offer gentle treatment using mainly Japanese style acupuncture in a relaxed setting. Do you suffer from hormone related symptoms? Acupuncture and herbal medicine manage a range of symptoms, including PMS, period problems, IVF support, pregnancy related sympstoms, menopausal hot flush and insominia. Pain may arise from accident or injury, cancer, arthritis, or even emotional stress. It may affect the head, neck, extremities, internal organs, etc, causing different kinds of pain such as headache, neck pain, throat pain, shouder pain, joint pain, abdominal pain and lower back pain. Stress directly affect your body. Common symptoms include Headache, muscle pain, fatigue, anxiety and sleep problems (insomnia). Our gentle acupuncture and Chinese herbal medicine may help to relieve the symptoms. Do you know about acupuncture treatment without needles for children, called "Shonishin" ? Kids love this treatment and it is effective for a range of symptoms, such as night crying, tic, weak immunity, etc. Chinese herbal medicine is one of the oldest and the great herbal system of the world. 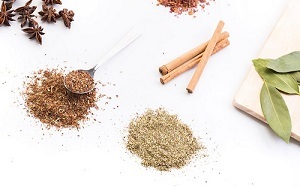 We use superior granule herbal extracts. About 10 to 15 single granule herbal extracts are mixed to make herbal formulae for individual use. Please check to make sure your email address is correct. If you have not had a response within 24 hours, please give us a call. Please check your junk folder before. Contact Form　※Fields are required.